Oriental spectacles with smoky quartz lenses. 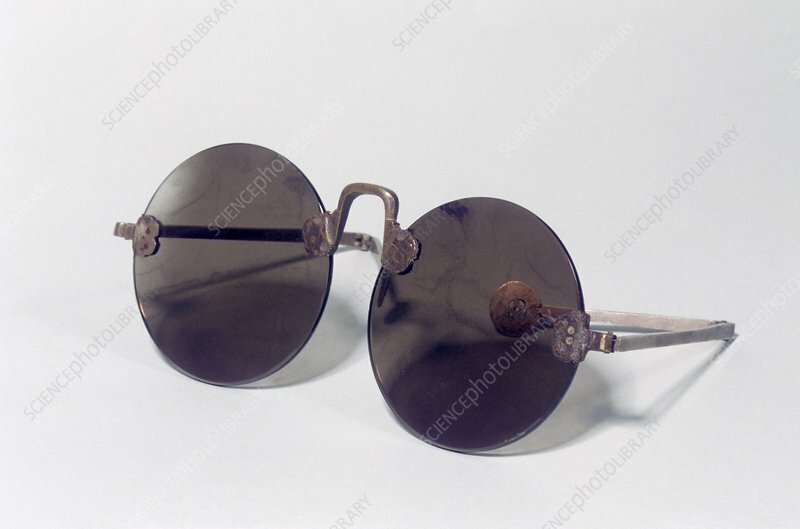 These would have been used to shade the eyes from bright light, particularly for those with photosensitive eyes. Spectacles are believed to have been invented in their early forms as early as the thirteenth century in Italy. These date from around 1890.